Fireplace inserts: If you already have a wood-burning fireplace, you can easily convert it to natural gas. Inserts fit into your existing fireplace and use your home’s existing chimney. Direct vent fireplaces: These sealed units draw outside air in and don’t need a chimney or flue – They’re the ideal solution if you don’t have an existing chimney. Freestanding fireplaces: These can be installed almost anywhere in your home, often with little or no renovation. And they’re another great option if you don’t have a chimney. Inserts are most commonly used in existing homes that have pre-existing wood burning fireplaces. The gas unit is inserted into the existing opening and gas and venting are connected to the insert. We finish off the fireplace with a custom enclosure plate. These fireplaces look like your traditional wood burning stove that you might see in a cabin. They can be ornate with cast iron and enameled finish, or they might be made of steel with a pedestal bottom. They are commonly used in a room that needs supplemental heat, but doesn’t have an existing fireplace. This fireplace is used commonly in new construction and for renovations where the homeowner wants a traditional looking fireplace that can have a mantel. They are called “zero-clearance” because the fireplace can be framed in with wood studs without having to provide clearance to combustibles. 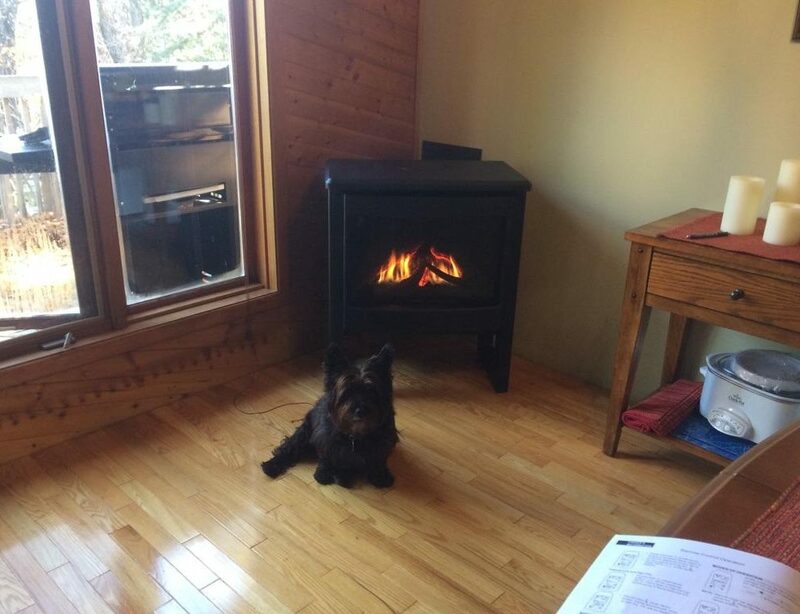 We’re proud of every fireplace and stove we install, and we love to see photos from our customers enjoying them. If you have photos from your recent renovation or installation, we would love to share it on our Wall of Flame.